A 14-year-old from Sunbury was arrested yesterday (7 March) on suspicion of conspiracy to commit robbery in relation to the incident in Thames Ditton on 12 January where a 16-year-old was stabbed. During the arrest, a 43-year-old man was also arrested for obstructing police. Both he and the 14-year-old have been released under investigation. The arrest of the teenager is the sixth made in connection to the incident. We are still appealing for anyone who saw what happened, or with any other information, possibly through comments, pictures or videos, that they’re aware of via social media channels, to get in touch. If you can help, please contact us on 101 (999 in an emergency) or http://surrey.police.uk/TellUsMore, quoting reference PR/45190004139. A 14-year-old from Kingston-upon-Thames was previously charged with robbery, grievous bodily harm and possession of a knife in a public place. He appeared in Kingston Crown Court on 27 February where he denied all charges. A trail will take place at Kingston Crown Court on 1 July 2019. Another 14-year-old boy from Richmond, who can’t be named for legal reasons, was interviewed in custody and has subsequently been released on bail conditions, one of them preventing him from entering the county of Surrey. 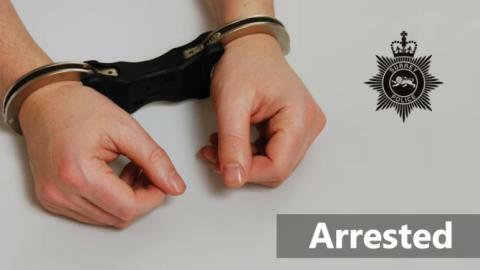 Two 14-year-olds from Surbiton and Chessington were also arrested last week in connection with the stabbing and a robbery which took place two days later. They have been released on conditional bail.